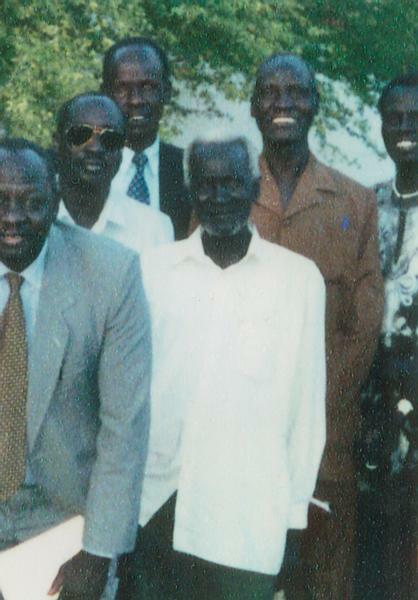 Moses Kuac in January 2000 in Khartoum. Picture taken by Wilmer VerMeer. Kuac is the old man with the white hair. ECV.